Can your dog's brain be rewired for greater intelligence? Dr. Brain O'Hare would say, "It’s not about how ‘smart’ dog or a ‘dumb’ dog is" as some dogs are just better at some things than others. But can we make our dog as smart as possible? You know, develop them to their fullest potential. Yes I believe we can and here's how. Dog intelligence is a dynamic process made up of experiences. In puppyhood, the brain is creating all these amazing neural networks and to make a dog smarter is to nurture the development of denser networks. Think of a tree's roots in the ground. The root ball is like the brain of the dog and during puppyhood, we want the root ball to become as dense as possible, architected to provide the maximum chance for supporting the dog throughout their life and maximizing the dog's potential. (1,2) Ideally, its best to begin young, however, don’t think that your adult dog’s ‘smarts’ are fully developed. Even older dogs can create new connections and new pathways in their brain. As you consider what you need to do to give your puppy every advantage, you want to know that brains are the only organs shaped by experiences; reorganizing themselves and changing physiology (3). When we consider planning to maximize a dog’s brain development, we want to plan a life full of adventures, exploration and relationships. Consider providing a wide-variety of active learning engagements for puppies through to adulthood. Different environments, interactions with things, relationships with other animals, other dogs, and other people. Also, think through engaging all the senses including scents. Also consider exercise before teaching your dog new things. We know in the brains of a human child, exercise before a test improves scores (4). And given that we are finding so many parallels between dogs and human brains, it is no surprise that a puppy, exercised first, allows for greater focus, key when teaching them important skills between puppyhood and adulthood. 3 - Pat Wolfe, EdD, educational consultant and co-author of Building the Reading Brain says, ""The brain is the only organ in the body that sculpts itself through experience," says Wolfe. She adds that we now know experiences actually change and reorganize a (…) brain structure and physiology"
4 - Åberg MA, Pedersen NL, Torén K, Svartengren M, Bäckstrand B, Johnsson T, Cooper-Kuhn CM, Åberg ND, Nilsson M, Kuhn HG. Cardiovascular fitness is associated with cognition in young adulthood. Proceedings of the National Academy of Sciences of the United States of America. 2009;106(49):20906–20911. Every dog has an innate intelligence. Intelligence is the ability to collect knowledge and apply it. Cognition is "the mental action or process of acquiring knowledge and understanding through thought, experience, and the sense." and cognitive abilities varies in every dog based on their exposure and intelligence. Self-confidence plays an important role in intelligence. Confidence is the basic belief within the dog that it can do what is needed to produce the desired outcome. Your dog loves these games because it builds up their own self-awareness, allows them to stretch their mind, and provides a sense of overall well-being. What happens when a dog is unable to use his intelligence or lacks the confidence to believe he can do something? There are several problems that can be manifested. Some severe, like over-excitement (jumping, barking, destructiveness), and at the least, boredom (apathy, depression). 4. Sequential Games – Developing body memory to carry out a series of actions to achieve a goal. 7. Vocabulary Games – Building your dog’s vocabulary beyond cues to include colors, objects, context and even emotions. Games would ask the dog to determine differences. There are many types of cognitive games and this is not the entire list. What is important is that your dog will be good at some games and not so good at others. We want games that your dog both enjoys and that builds confidence. If your dog is not good at a game, we simply end on a good note and move on. Practical Workshops for students of the International School for Canine Psychology & Behaviour (theISCP.com) and members of the Muskoka Dog Social Club are available to learn how to set up cognitive games, create your own and to enrich your dog's life. Many clients I work with have no rules for their dog. None. Some have too many where the structure is so rigid the dog is depressed and acting out. I suggest at least 5 rules where you’re asking for cooperation from this delightful member of the family. Puppyhood is where to start right with setting rules and enforcing them. My 12-week year old has a good grasp of the word ‘no’, meaning she knows when I am asking her ‘not’ to do something. That does not mean she always obeys - hah! She is finding her own ways of doing things and unfortunately, the consequences. As a force-free behaviourist my role is to bring ‘Sunshine’ into this world as a good citizen in our community. Also, that Sunshine is independent, able to make good choice for herself and others, and self-reliant. You may think, “Hold-up. What? Does that sound too much like a Human?” Well it does on purpose. Dogs have the same capabilities emotionally and cognitively as a 2-yr. old child - scientifically proven, and it makes sense to modernise our obedience training and include ways and means to enable sound mental and emotional reasoning in our dogs. To reinforce ‘No,’ I first have to be asking her to stop doing something - like Biting. She needs to understand this. This is important. She needs to truly understand and practice self-control. These are very hard things to grasp for a puppy - patience is mandatory. All dogs learn from testing what a request means, meaning, if I say ‘no’ to jumping on the table, I can count on the fact she will need to jump on it several more times and in several more situations before she understands and cooperates. Once I am positive she understands what I am asking her to stop doing something when I say ‘no’, and she still does it, then she is disciplined. Biting is the same concept. One of my key rules for Sunshine - no painful biting. Once I have provided every opportunity to chew anything but me, make my hands very still, and have said ‘no’ only then does discipline follow. I provide two strike-outs, allowing the dog to rethink if they want to continue. If the dog decides not to continued they are praised because I want to positively reinforce the behaviour I want. Force-free discipline looks just like a time-out for kids. Proactively you know which room in your house is suitable, especially for a Puppy who chews anything. Ours is our bathroom. I always have a timer on hand. I put my puppy in the bathroom away from the family. To put ‘Sunshine’ into the bathroom, I pick her up, but you can lead a dog in as well. I do not yell, and picking her up is done calmly and lovingly. My ‘Sunshine’ is placed in the bathroom, the door is shut, and I set the timer for 2 mins. Not 1 and not 3, but 2 minutes. One minute is too short, three minutes is too long and ineffective. To a dog, being away from you is tough. Sunshine will whine and even howl a little. In 2 minutes, we open the door, no fuss, no drama. Sunshine comes out. Has she learned? Not necessarily, but I have started to provide good information to help her make good choices in the future when I say ‘no’. For sure she will try again because she is learning. I love when they try again. It means I am on the right track. The dog is figuring out what is acceptable and what is not. There are nuances to this method, so feel free to message me about your particular puppy and I will help you out. Whether it is your dog who needs protection or your dog who is causing the problems, knowing how to read what is ‘play’ and what is not may make all the difference. Never truer than a dog park environment where dog-strangers meet, and ‘play’ is often misunderstood by new or misguided dog owners.. By reading signals during play means you can turn a potentially lethal situation into a simple intervention. 1. You observe your dog is chasing another dog, and the dog in the lead has its tail between its legs and is running low to the ground. You decide to direct the lead dog to you to protect it (Right or Wrong). 2. A yelp is heard but neither dog stops their activity. You decide not to stop their play (Right or Wrong). 3. Dogs are playing when one steps away from the play and gives a full body shake. The other dog does not notice and starts a playful charge. You decide to intervene to stop the charge (Right or Wrong). 4. One dog is playing with another dog, when suddenly it sits or lies down. The other dog jumps on top of her and begins tugging her fur to get her back into play. You decide to stop their play (Right or Wrong). 5. One dog growls and moves away from another dog who is play-bowing. You decide not to intervene and let them work it out (Right or Wrong). 6. You observe your dog looking at you, with its head angled away from a dog trying to engage in play. You decide to encourage your dog to make friends (Right or Wrong). 7. Two dogs have been playing well. Then you notice one dog is actively biting the legs of another dog, full teeth exposed and snarling, and the other dog has it head turned facing the other dog, air-snapping and trying to bite the other dog. Vocalization of growling can be heard loudly. You encourage the play to continue (Right or Wrong). 8. One dog is on its back and another dog is on top. The dog on the bottom is air-snapping (meaning snapping its teeth together but not biting anything) and grabbing onto the top one’s harness, with its back legs flailing in the air. The dog on the top is biting the cheek of the dog on the ground. There is no noise, outside of panting and soft growls. You decide to stop their play (Right or Wrong). 9. Two large dogs, who are part of a sibling group, are chasing a small dog they have just met. You decide to remove the small dog and stop their play (Right or Wrong). 10. Two dogs are meeting, and one dog will not allow other dogs to sniff it’s back-end (doggie-polite greeting), has its ears back and a low growl can be heard. You decide to intervene and stop the introduction (Right or Wrong). There are many more situations like this that must be monitored at the dog park. Staying attentive and being knowledgeable on dog signals at play can save the life of your dog and others. Never let a good conversation, or listening to music, stop your attention to dogs at ‘play.’ Your dog is counting on you to see and understand what is happening and to protect him/her. Here are the answers: 1. R, 2. W, 3. R, 4. R, 5. W, 6. W, 7. R, 8. W, 9. R, 10. R.
Please let me know how many you got right, and which surprised you. I will respond with the details and why the answers are the way they are. 10 Mins. to Learn the Power of "AND"
Lately I've been giving a lot of thought to 10 minutes. We spent 10 minutes gawking at a Moose. We spent 1o minutes meeting a dog who had just bitten an employee. We spent 10 minutes sorting and putting on laundry. Yet, 10 more minutes with your Dog can lead to amazing things. For example, I can spend 10 minutes writing one of the most powerful tips that will fundamentally shift your relationship with your dog. Interested? First, some background. I was recently asked about how to stop a cute little puppy from running away with family member's pants. Then, I was also asked how to stop a dog from bugging his elderly cat sibling when the sibling was resting. And on another call I was asked how to stop a dog from barking at the neighbors. All of these problems had slightly different solutions, some were short, some were long. But all started from the same place, a neat little trick I call the power of "AND." In the few minutes it takes to read and absorb this trick, and the a few moments to think about it and practice it - the power of 10 minutes to shift your relationship with your dog will become clear. Second, it is important to realize that dogs who know they can make you happy are mentally healthier than dogs that are regularly confused, or believe you are very rarely happy with them. So if you don't praise your dog on a steady basis for coming when called, sitting when asked, or simply lying down under your desk quietly when working, they likely don't know they make you happy. If you need to find things to praise your dog for, think about what you do like. I hear, "I like it when my dog curls up on his bed, when I am reading," or "I like it when my dog comes to me when I call his name." A quiet, calm, "good settle" with a smile on your face, when a dog finds his place under your desk can be the start of letting your dog know you like when he is there. A scratch on the neck every time your dog comes when called, shows your dog he is making your happy. Third, saying 'No!' to your dog digging up your garden, or jumping on the counters is not a powerful choice to curb your dog's behaviour. It says I am unhappy with you with no instructions on how the dog can make you happy. There is no alternative path given to the dog except to stop what he is doing and let's face it, taking his paws off the table doesn't make you happy. You didn't want him to do it in the first place. The Trick is found in the power of "AND." Next time a "No!" comes flying out of your mouth as your pants are dragged up the hallway by your playful pup try the power of "AND." Here's how to do it. Any behaviour you want to stop, say "No AND...." ask them to do something that makes you happy. In the pant-pulling puppy case, it would be "No AND look here is a teething rope, please take it away and chew it, that would make me happy." For a dog who is bugging the elderly cat, it is "No AND would you sit. Oh what a good boy, that makes me happy." For a dog barking at a neighbour, it is "No AND can you lie down for me. Wonderful. Thank you that makes me happy," and so on. The power of AND is a 10 Minute lesson that will deepen the power of your relationship with your dog. A happy dog is a dog who knows that they can make you smile. 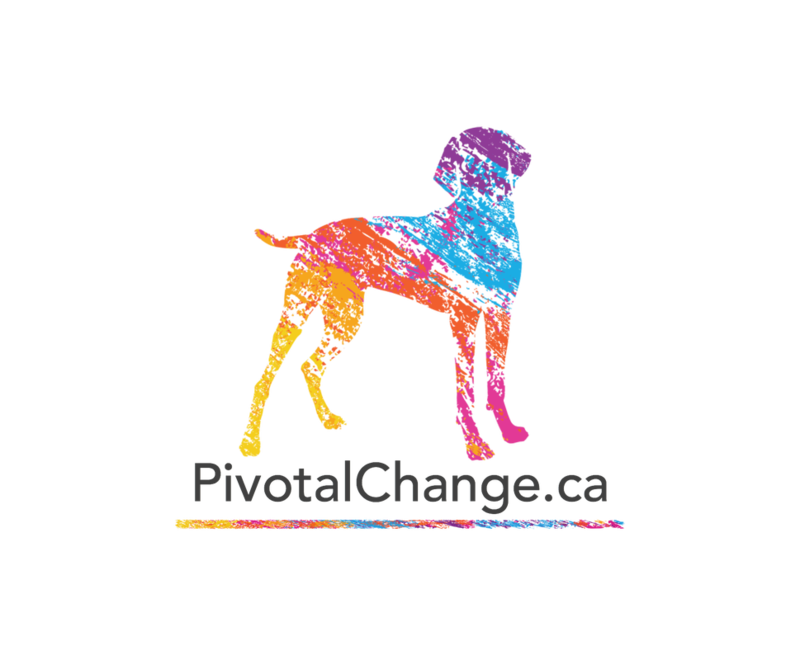 We will be having a clinic on the Power of "AND" at the Muskoka Dog Social Club which is only 10-minutes from Hwy. 11 - you could have been here by now. The social club has wide-open, secured park-like settings made for dogs, with lovely outdoor seating, and an indoor activity centre for inclement weather. It's for Dogs and their People and boasts great evenings under the stars, and only 10 minutes from home. When working with dogs and their owners, we often ask them to have on hand three sets of treats, each with varying levels of enjoyment for the dog. The lowest value treat is likely to be their dinner kibble - yummy, but not highly scented, with a dry crunch. The second, mid-level treat may be diced carrot or apple cubes - lovely, moist, crunchy, low calorie, but not smelly. The third and most highest value is a moist, highly scented treat about the size of a pea. But buying high quality treat can be challenging both in price and finding a moist, pea-sized, smelly treat. So we like to provide this easy under $10 recipe which produces about 80 rewards. You need a package of ground meat, around $6.00 and two cans of sardines or anchovies, approximately $1.44 a can. Add in one egg, about $0.40. Mix together and press into a well-oiled cookie pan. Cook the meat tray in a 350 degree oven, until well cooked. We don't burn it, but we dry it out - approximately an hour, but keep an eye on it. Once it is out of the oven, you should be able to move the cooked meat slab onto a cutting board and cut it into pea size pieces. You can freeze, if you make several batches. We have never counted how many we can get but would hazard a guess that we have over 80 pieces, depending on how you choose to cut it.. One other note: we recommend you open the windows - it can really stink up the house, but your dog will love it. We are often asked, why anchovies/sardines? The reason is simply to make the treats more smelly. Since dog's taste buds are not as advanced as ours, but their noses far more advanced, we rely on their amazing ability to smell, to attract their attention and create deeper pleasure sensations in their brain. Any questions, we would love to hear them, just send them along to Sparky@executivepetservices.ca. We want to swap great discounts on our most popular services for your choke, prong or shock collars or any other qualifying pet gear. We are participating in “Project tRade” and customers can earn up to 15% off our most popular behaviour modification services and emotional healing remedies simply by giving us old pet gear* you have laying around. It couldn’t be easier! 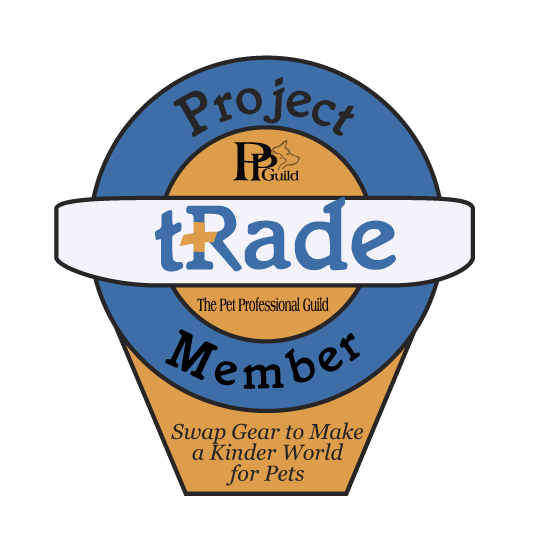 Project tRade is the Pet Professional Guild's (PPG) international advocacy program that promotes the use of force-free pet training equipment by asking pet guardians to swap choke, prong and shock collars (and any other devices that are designed to change behavior through pain or fear). Because we want all pets and their guardians to experience the huge advantages and long-lasting effectiveness of force-free training and pet care, we will give you great discounts on our most popular, effective, fun and pain-free behaviour training & emotional healing remedies in exchange for your old gear. We want to swap great discounts on our most popular services for your choke, prong or shock collars or any other qualifying pet gear. By participating in “Project tRade” you can earn up to 15% off our most popular behaviour modification services simply by giving us old pet gear* you have laying around. It couldn’t be easier! Effective, humane animal training and pet care methods are the foundation of any animal’s healthy socialization and training and help prevent behavior problems. Since a wide variety of equipment and tools are commonly used when training pets, the pet-owning public needs to be aware of the potential problems and dangers some equipment may pose. Specifically, the use of collars and leads that are intended to apply constriction, pressure, pain or force around a dog’s neck (such as ‘choke chains’ and ‘prong collars’) should be avoided. Distinguished veterinarians and behaviorists worldwide are joining the discussion and calling for the elimination of such devices from the training efforts of both pet owners and professionals. Respected veterinarian and thyroid expert, Dr. Jean Dodds, recommends against choke or prong collars "as they can easily injure the delicate butterfly-shaped thyroid gland that sits just below the larynx and in front of the trachea. These collars can also injure the salivary glands and salivary lymph nodes on the side of the face underneath both ears"
Bestselling author and canine behaviourist, Jean Donaldson, says: "These devices (choke and prong collars), when they work, do so to the degree that they hurt. With the advent of modern methods and tools they are irrelevant." According to veterinarian and veterinary behaviourist Dr. Soraya V. Juarbe-Diaz: "Using punishment to stop behaviours is not new. Notice I said 'stop' rather than 'teach' -- I can stop any behaviour but I am more interested in teaching my students, animal or human, to choose the behaviour I want them to perform because they can trust me, because I do not hurt them and they are safe with me, and because the outcome is something they enjoy." The PPG thus encourages all pet owners and pet professionals to embrace modern, scientifically based, training techniques and tools, especially the latest generation of no-pull harnesses which are free of the risks posed by traditional collars and offer far more benefits. So swap your gear and help create a kinder world for you and your dog and pet..
To learn more just visit PetProfessionalGuild.com. *qualifying pet gear = prong collars, shock collars, pinch collars, choke chains, citronella collars and the like. Speak to Sparky about the discount codes for each of our packages and Emotional Healing services and products. To understand Force is to understand why trust is easily broken between a dog and his caregiver. It can undermine a dog's progression into adulthood, undermine cooperation, and lead to abandonment. Even if you have never used force on your dog, others' may have. Well-meaning family members, and even professional caregivers using outdated information, may have used force on your dog. Your job is to protect your dog, and provide gentle guardianship. It requires you to recognize the signs of force, educate those who have used it, and protect your dog at all cost. A dog who has been trained or disciplined with force is recognizable. He cowers with fast movements, at hand gestures, or raised voices, with his ears flat against his head, and his tail curled down. He shows ‘crescent eyes’ (meaning the white shows in a crescent shape under his irises). The dog’s natural curiosity is lower than normal as is his confidence. He avoids people, glancing at where at person is in position to himself, and looks worried, with eyebrows pinched tightly together. When you see these signs in combination, it is likely force has been used. Science has proven that dog’s have complex emotions and the same emotional capacity as a 2-year old child. Today, similarities between dog and human brains are being studied. It is helping us to understand mental illnesses, which dogs share with humans. Also, it is now proven that dogs' emotional capacity and the way they feel are very similar to humans and they are thought to have complex emotional lives. All dogs are fundamentally hard-wired to be cooperative, attached and dependent on humans. It is in their DNA. To help you remember this fact, think of dogs as being all about 'Peace and Love and Cooperation'. Out-dated training methods based on a dog's inherent need to dominate, and gone uncheck leads to injurious harm to humans is now disproven by science. We now know a dog’s relationship, born out of thousands of years of evolution with humans, is one of trust and cooperation. There is much misunderstanding on what dominance is: ""...being dominant" does not mean punishing or actually harming another individual, it's easy to see that dogs do control or influence the behavior of other dogs in non-injurious ways, just like other animals, including humans, do. Once again, when people understand what "being dominant" means they will see that dogs can and do dominate other dogs, other animals, and humans, and positive training/teaching methods that are used to influence or to control the behavior of dogs are very effective"
We now know that Dog training based on references to Wolves and Pack Behaviour is incorrect. TV Personalities, like Cesar Milan use outdated methods to sensationalize quick behaviour shifts. In reality, the methods psychologically traumatize a dog. Scientifically the dog fails to see long-term beneficial results with aversive methods. Often dogs who are forcibly handled 'shut-down’ emotionally and then the dog is shown 'cured'. It is inaccurately described by the TV personalities as 'submitting'. It is very dangerous, and crushes the dog spirit. Eventually a traumatized dog will emerge with even a higher tolerance to aggression by increasing his own aggression. Dogs may test boundaries but normally this is only during adolescence. It can also occur in traumatized dogs that have been rescued and then re-homed. Dogs are not trying to be dominant, but are puzzling out who they are, and who you are to them. Once force is used, a dog learns that doing new ‘things’ may turn out to be painful so normal curiosity is learned to be avoided. A dog who has had force used on him can return to normal in time by building confidence and trust through gentle guardianship. Tolerance to physical pain requires more and more pain to be inflicted to maintain the same results. A dog increasing his tolerance to pain will increase his aggression. A cycle that creates a very dangerous situation. Use of force to change or reinforce training commands will force the dog to suppress his normal emotions like fear, and turning them into frustration and anger. Once this happens, they can ignite without warning in the form of aggression, growling, snarling and ultimately biting.